In the 14 years since Integra Global's founding, this USA based health insurance company has seen success that has allowed it to grow to its present state of ten global offices insuring customers in more than 150 countries. 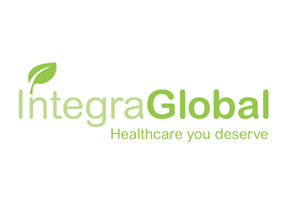 With extremely comprehensive health insurance plans available and live 24 hour customer service, Integra Global is well known for taking good care of its insured. Furthermore, because every plan is underwritten by LAMP Insurance, a globally respected insurer with an excellent record of financial strength and surety, there is no reason to doubt Integra Global's ability to fully care for the needs of it's insured. While you may have no intent of leaving Malaysia at the time of policy purchase, plans sometimes change rapidly. This will not be a concern for anyone covered by an Integra Global coverage policy as all of their plans are transferable worldwide and equivalent care and coverage is available everywhere the insured goes, whether your travel abroad is short-term or a permanent relocation. If you need more information about Integra Global's coverage and plan options, want to compare coverage offered between companies or have any other insurance related questions, contact us. Malaysia Health Insurance has advisers who are well-equipped to assist you thanks to our extensive database of insurance information. Moreover, we maintain close relationships with many insurers to make sure that our information is always kept up to date. Simply complete the information request above to have an adviser reach you at your convenience, or click here to talk to someone now.